The risk of an automobile accident is one that is almost impossible to avoid. Most people have a commute to work or other errands and responsibilities that require driving on almost a daily basis. While car accidents are an unfortunate risk of life, there are people who increase that risk for others by making reckless and negligent decisions regarding driving. When negligent or reckless behavior is the cause of an accident, our car accident lawyer can build a strong case to help clients secure financial compensation for damages suffered. Speeding is one form of reckless driving that many fail to see as a serious offense. Unfortunately, speeding not only increases the risk of an accident, but also increases damages when such an accident occurs. Not only is a speeding vehicle more likely to be involved in an accident, but the results of that accident will be more severe because of the increased force of a fast-moving vehicle. Damages to the vehicles involved and the drivers and passengers of those vehicles will likely be traumatic. Speeding is an unsafe driving practice that is a purposeful and reckless decision made by those who choose to drive above the posted speed limit. Because of this, victims of car accidents that are caused by speeding are likely entitled to compensatory damages. 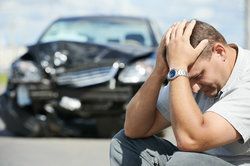 Our Provo car accident attorney can help patients seek financial compensation for medical bills, property damage, lost wages, pain and suffering, and possibly punitive damages. Attorney Lynn Harris works closely with clients to ensure that a strong case is presented when seeking this compensation. Car accidents can have potentially devastating consequences. If a reckless or negligent driver has caused damage or injury to yourself or your property, you should not be left to deal with the financial responsibility. Contact us as soon as possible to discuss your case with attorney Lynn Harris. We look forward to hearing from you.